Getting married? 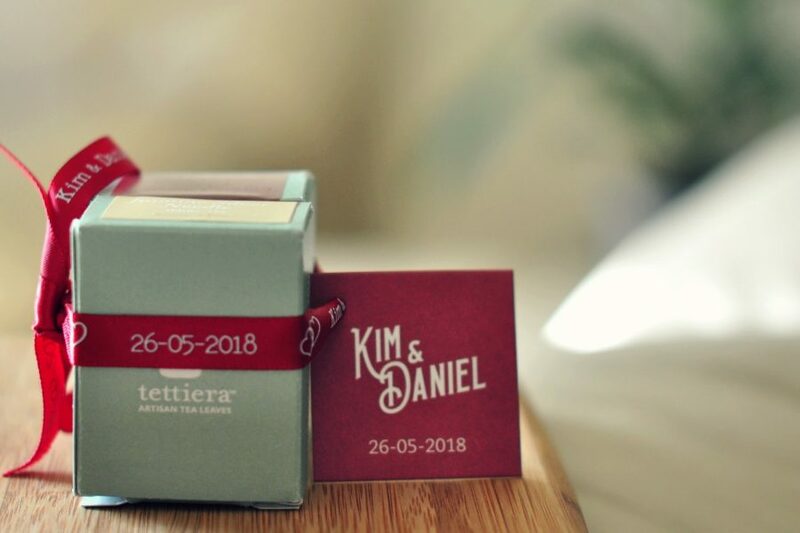 We have a unique wedding souvenir idea for you! Treat your guests with a lovely artisan eco tea sack, hand packed with love! Each eco tea sack is packed with whole leaf tea and is made out of unbleached paper, packed in foil to retain freshness and sealed in a mini cardboard box. 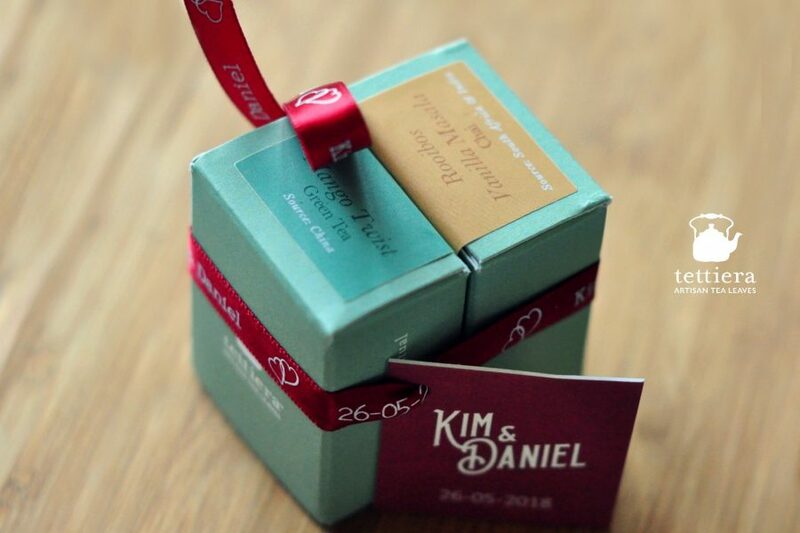 You can mix and match different blends from a range of 23 depending on your wedding theme and colours. 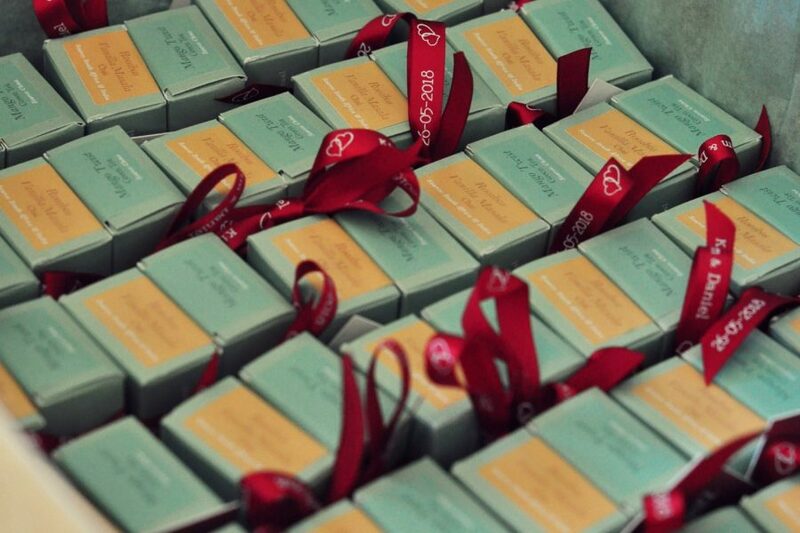 Each Single eco tea sack can be customized with a personalized tag and satin ribbon. Mini Glass Jars are also available instead of the eco tea sacks for those who prefer to offer loose leaf tea as their wedding favours. Contact us on rediscover@tettiera.com for more information.